Brown the meat, onion and garlic in a skillet over medium heat until no longer pink. Drain any excess fat. 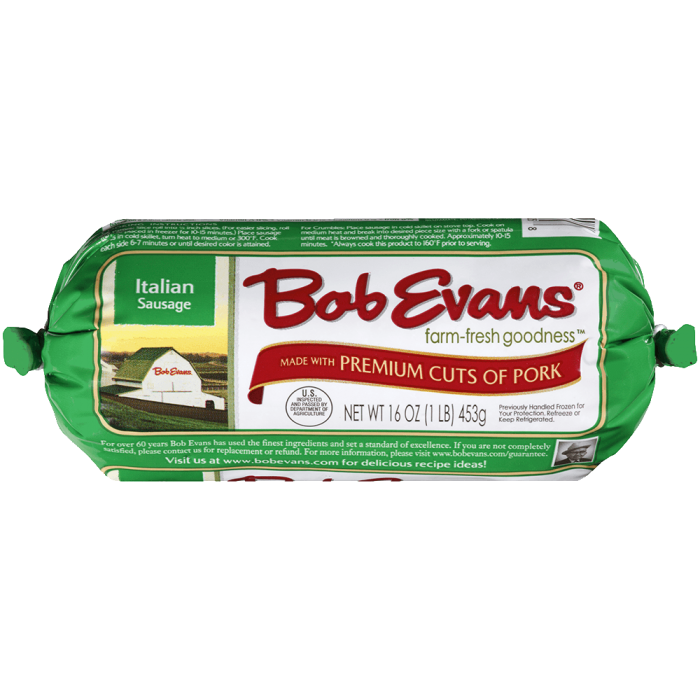 Add the Bob Evans Macaroni and Cheese, diced tomatoes, oregano, basil, and half of the Colby Jack cheese, salt and pepper to the skillet and stir to combine. Cut the tops off of the peppers and remove the seeds from the insides. 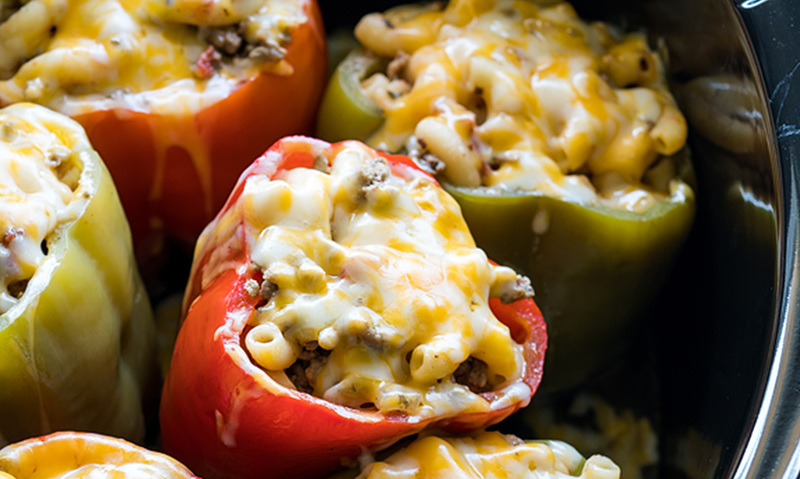 Fill each pepper with approximately 1 cup of the meat mixture and place in the slow cooker, standing up. Pour Â¼ cup of water on the bottom of the slow cooker and cook on HIGH for 3 hours or LOW for 6 hours. Once theyâ€™re cooked top with the remaining shredded cheese and cover until the cheese is melted. Use a slotted spoon to remove the peppers from the slow cooker. Enjoy! 1 Brown the meat, onion and garlic in a skillet over medium heat until no longer pink. Drain any excess fat. 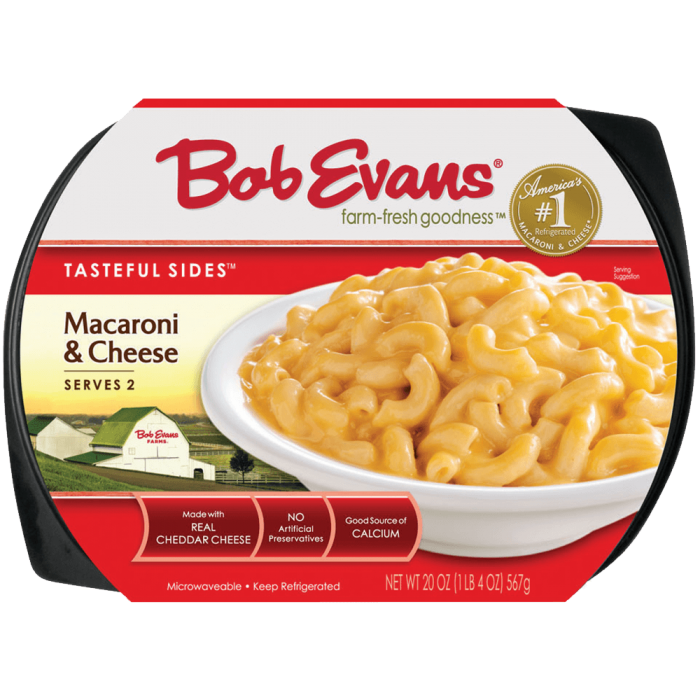 2 Add the Bob Evans Macaroni and Cheese, diced tomatoes, oregano, basil, and half of the Colby Jack cheese, salt and pepper to the skillet and stir to combine. 3 Cut the tops off of the peppers and remove the seeds from the insides. 4 Fill each pepper with approximately 1 cup of the meat mixture and place in the slow cooker, standing up. 5 Pour Â¼ cup of water on the bottom of the slow cooker and cook on HIGH for 3 hours or LOW for 6 hours. 6 Once theyâ€™re cooked top with the remaining shredded cheese and cover until the cheese is melted. 7 Use a slotted spoon to remove the peppers from the slow cooker. Enjoy!